To ensure the well shaped and impeccable condition of the hedgerows and shrubs around your property use our professional services. We carry out effective and thorough shaping of overgrown and neglected shrubberies and bushes done by some of the best in the industry. Use our hedge trimming and other gardening services you need in your residential and commercial estate, located in Chiswick W4 to receive the expected results. Our gardeners work in accordance with the demands and preferences of each customer to create the shape and effect that should be achieved. 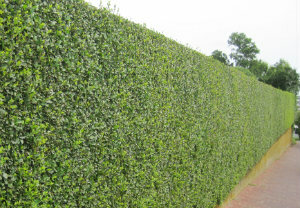 Our gardener check the specie and condition of each hedge to estimate when and how often it needs to be shaped. They can implement formative shaping of young plants as well as their later regular cutting. We guarantee you that your outdoor garden and yard areas will become better maintained and your hedges will be in perfectly healthy state if you let us take care of them. You can receive professional consultation and learn how to provide the necessary cares for your garden plants from our landscapers and gardeners. 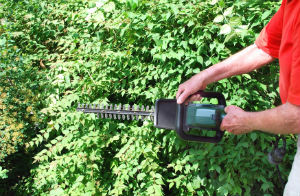 Our hedge trimming services can be used by the Chiswick residents. Call us to specify your demands and get a free quote. Don’t let your shrubs and hedgerows get out of hand and take the most of your garden or look shapeless. Call us and we will send our experienced gardening experts to cut them effectively and well. You can book other gardening services with your hedge trimming in W4 Chiswick and benefit from our special discounts. Contact our call centre to get additional information and book the gardening services which you presently need. It is at your disposal seven days in the week.